The build up to the Hempel Olympic Classes World Cup Miami Regatta is underway and attracting international fleets to several US National Championships. 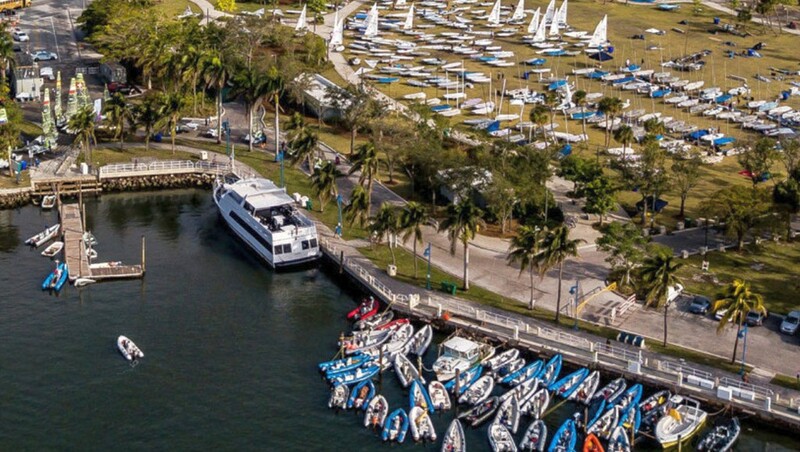 At the 2019 Laser/Radial Class US National Championships in Fort Lauderdale over the 11 to 14 January a 54 strong Laser fleet was won by Stefano Peschiera of Peru. Peschiera finished six points ahead of best placed USA competitor Charlie Buckingham with Robert Davis of Canada in third place. Britain’s 18 year old Ben Childerley finished in 32nd place. In the mixed Radial fleet, with 89 entries, Paige Railey (USA) won with a 35 point advantage on Sarah Douglas of Canada. In third place was Erika Reineke of the USA, with Finland’s Tuula Tenkanen fourth, Josefin Olsson of Sweden fifth and Maria Erdi of Hungary sixth. Britain Sailing Team member Hannah Snellgrove only sailed four of the nine scheduled races, finishing with 6, 4, 5, 3, so placed down the overall fleet. This is the 30th year of Olympic-class racing off the shores of Biscayne Bay in Coconut Grove, and the second stop of the four-regatta Olympic-qualifying series. The third event is in Italy in April, followed by the final stage in France in June. The first round was held in September in Enoshima, Japan, the host site of the 2020 Games. There will be a 40+ strong squad of British Sailing Team sailors in Miami, with only the top Finn guys – recently competing in Australia – and the top Nacra17 pair Ben Saxton and Nikki Boniface missing.